Kosovo Police have arrested three Serbs in Mitrovica North early on Friday suspected of their involvement in murder of Kosovo Serb politician Oliver Ivanovic, and one for resisting police. Two of the arrested persons are police officers. The Special Prosecution of the Republic of Kosovo confirmed the arrests to Gazeta Express, explaining that the two of the arrest are police officers Dragisa Markovic and Sasa Curcic, suspected of their involvement in killing Kosovo Serb leader Oliver Ivanovic in January 2018 in Mitrovica North. Their arrest was confirmed also by Mitrovica North Mayor, Goran Rakic adding that the Kosov Police operation it was yet another kind of pressure on the Serbs. 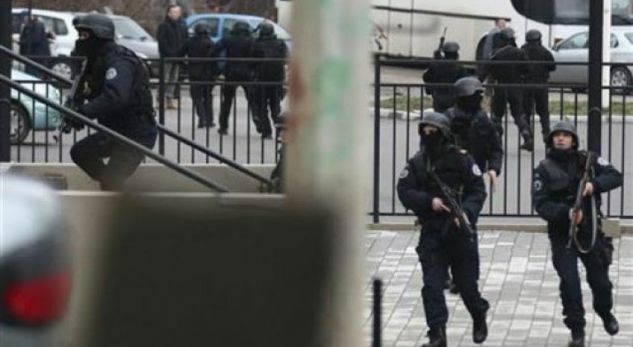 Local authorities have rung air raid sirens after special units of the Kosovo Police were sent to the northern Serb-run part of the country to conduct the operation. Ivanovic, who was leader of the Freedom, Democracy, Justice initiative, was main political rival of Srpska List backed by Serbia’s Government. He was shot dead in front of his party’s offices in northern Mitrovica on 16 January. Ivanovic had said several times that he and his family had received threats, and had asked Kosovo, Serbia and others for help – but without any result, gazetaexpress.com.